Kulula Air is the famous low cost airline of South Africa with its base in Johannesburg, South Africa. Kulula Air serves air flight services to several major domestic cities. It also offers regional flights operations to Namibia, Mauritius and Zimbabwe. Book Kulula Air flight tickets reservations online here. Also get flight schedule and cheap flight tickets for Kulula Air online in easy steps. Kulula Air was founded in 2001. 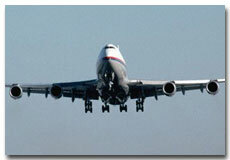 It is a regional subsidiary of Comair Limited.